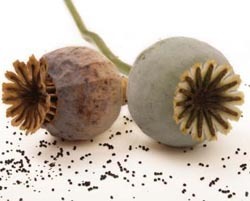 All opiate drugs are derived in some way from the poppy plant. If you’re looking for information about opiates and the various types of drugs or medications that are considered a part of the opiate family then you’ve come to the right place. Opiates are a class of drugs that include mostly prescription painkillers, heroin, methadone, and opium. Heroin is one of the most dangerous drugs on the streets and leads to thousands of overdoses and deaths each year. Prescription painkillers and the abuse of these drugs has become somewhat of a pandemic throughout the United States causing the need for greater control and monitoring in doctor’s offices, pharmacies and rehabilitation centers throughout the country. Opiates are a class of drugs that are derived from the poppy plant. The most common opiate to be used around the world was once opium but then progressed into a derived form of the plant known as heroin. In time, heroin would sweep not only the nation but the world causing overdose and death all over the place. Medications that produce pain relieving effects are also sometimes derived from the poppy plant and then considered part of the opiate class. These may include methadone, Oxycontin, Oxycodone, Roxicodone, Morphine and Dilaudid. An opiate is any drug that is derived from the poppy plant and may include heroin, morphine, dilaudid, Oxycontin, Oxycodone, Roxicodone and various other derivatives of the poppy plant. Opiates are highly dangerous and highly addictive drugs that can be found around the world in many countries. Many are used to treat chronic or acute pain while others, such as heroin, are strictly substances developed on the streets for recreational use. Opiate agonists are another class of drugs that are often used to treat opiate addictions. These may include methadone, Suboxone and buprenorphine. Opiate agonists mimic the effects of the naturally occurring endorphins in the body and produce an opiate like effect. Opiate agonists are a synthetic opiate drug and may include naloxone and naltrexone. 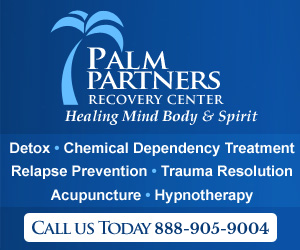 Most are used for the therapeutic treatment of those who suffer from extreme or difficult to overcome opiate addictions. There are many different medications that use a derivative of the poppy plant as their foundation and these are all called opiates. Other opiates may include heroin, opium and derivatives of these substances. For a complete list of opiates click here. Various types of opiates exist. The most common types of opiates include heroin that comes either in the form of a tar like substance or a powder, opium which comes in either a rock or power form and prescription painkillers available in liquid and pill forms. Heroin and opium are two types of opiates that have no designated use and are available on the streets while prescription painkillers are commonly prescribed to treat chronic or acute pain especially that associated with diseases such as cancer or related illnesses. Opiates and opioids have many similar characteristics but opioid typically refers to a synthetic form of the opiate drug. For instance, heroin and opium are both opiates whereas methadone and morphine are actually synthetic versions of the opiate and are considered opioids. According to the National Institute of Health, an opioid is a synthetic drug used as an opiate substitute. In many cases, opioid is used to refer to both opiates and to synthetic opioids. The side effects that are common with opiates include fatigue, drowsiness, suppressed breathing and blurred vision. Some of these side effects become escalated when an individual stops using the opiate and begins to withdraw from the substance. Opiate withdrawal side effects are much more difficult to deal with for those who use opiates for a prolonged period of time or who use large amounts of the drug.